Mario? Mario? Everyone has been Mario for Halloween. That’s done. He’s been the biggest name in video game character history for about a million years by now. But you know who’s really cool and never gets the love he deserves? That’s right...Luigi! Honestly, who rescued Mario all those times he went missing through the years? Who cleaned out that Haunted Mansion all by himself a few years back? Who uhhh...has a fantastic kart racing record (probably) and comes in to save the day when too many goombas have bumped into his older brother? That’s right, the perpetually unsung hero: Luigi! Luigi can run, jump over bottomless pits, and shoot fireballs from his hands just as well as anyone can. 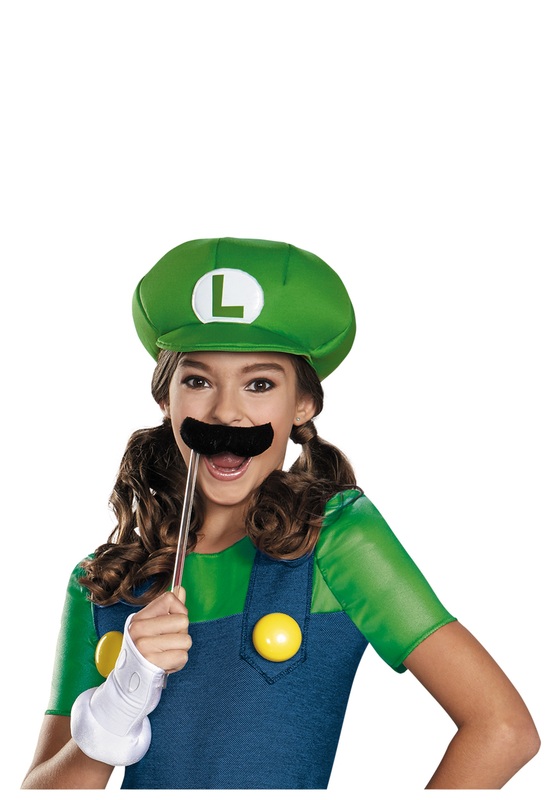 With this Tween Girls Luigi Costume, you’ll be the coolest, blue-and-green dressed hero in the video game lexicon. Wherever you spend your Halloween, you’ll have people asking you all night why you chose to dress as this particular sidekick. And you’ll be prepared for that, of course. You’ll be able to explain why Luigi is, in fact, the superior brother, the greater character, the bigger hero! By the end of the Halloween season, everyone will suddenly wonder why they ever thought so highly of Mario in the first place. So don’t forget your classic green hat (complete with the “L” logo, you know, for Luigi) and unforgettable white gloves. 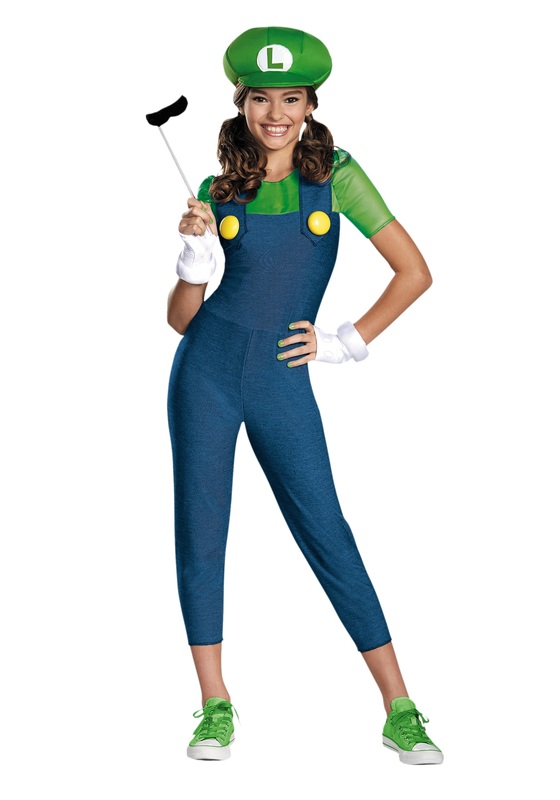 And of course, included with this outfit is the iconic Luigi mustache (conveniently on a stick), so there will be no mistaking that Mario is, in fact, your sidekick!